but the last head of lettuce seems so faded that I have decided to leave it as bunny food. I pulled out the beets too early and was disappointed to find they weren’t ready and maybe never would be. The pea vine has now died at the top and whatever peas that were too small to pick before we left are still hanging on, but are stunted and too tiny to eat. Learning to garden is like learning to cook; practice makes perfect. We already have some ideas about how we can improve for next year. It’s exciting to plant a variety of tiny plants and watch them flourish under your care. My son learned to grow his own food, deepening his appreciation of real food. We will be planting a backyard vegetable garden every summer from now on; a habit I hope he will continue as an adult. It was well worth the effort. The best part was watching my son swoon over the sweet peas he plucked straight from the vine, after I encouraged him to raid my garden. Between the two of us, none of the peas ever made it to the pot. The first tomatoes we picked, moments before we ate them, were dripping with sunshine. The fresh mint has been added to everything from olive-oil-dressed boiled potatoes, to a Southeast Asian salad, and jugs of cold water. Hopefully, we will continue to enjoy our tomatoes and herbs throughout the summer. The kale grew hearty and strong (I think it overcrowded the poor little beets). We harvested all the kale last week and enjoyed it at dinner. I was never a kale fan until I learned to oven roast it. Addictive as popcorn, it makes a wonderful, light and healthy snack that both adults and kids love. Olive my Oven-Roasted Kale so much that we serve it every week for dinner. If you need your oven for more than one recipe, you can make the kale first and then hold it at room temperature on your table while cooking the rest of your dinner. But be forewarned, the kale will likely be gobbled down as soon as it hits the table. In fact….we gobbled it down before I remembered to take the photo. Sorry! Preheat oven to 375°. Line two rimmed baking sheets with parchment paper. 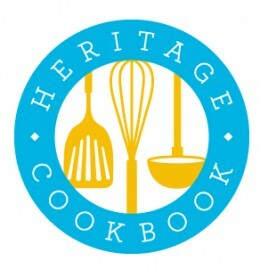 Remove the stems and centre ribs from the kale by folding each leaf in half along the centre rib line and grasping both sides of the leaf with one hand and the end of the stem with the other; then gently pull the stem away from the leaf as far as it will go, not worrying if the kale tears into smaller pieces. Wash the kale carefully and dry thoroughly. Divide the kale evenly between the two baking sheets. Drizzle liberally with the olive oil and generously sprinkle the salt over top. Toss to thoroughly coat each leaf with olive oil. Spread out in a single layer on each baking sheet. Place one tray on each oven rack and roast the kale leaves for 5 minutes. Remove from the oven and stir; then rotate the position of the trays. Continue roasting until the kale is crisp and dark green (not brown), about 5 minutes longer (but check at about 4 minutes). Transfer to a serving platter and hold at room temperature until you are ready to serve. Try to resist polishing off the whole bowl yourself when nobody is looking. My Black Cherry Rose Water Sherbet turns sweet dark cherries, a touch of cream, and a faint but alluring hint of rose water into a luscious make-ahead summer dessert that will make you dream you are feasting in a sultan’s tent under a starry Sahara sky. Rose water is the essential water that is left behind in the steam distillation of rose petals to extract rose oil for perfume. Olive to fill a bowl with tap water, add a healthy splash of rose water, and float some delicate rose petals on the surface as a pretty table decoration or a refreshing gesture for pampered guests in my bathroom. For centuries, fragrant rose water has laced sweets and drinks in Middle Eastern, Indian, Mediterranean, and Southeast Asian cuisines. Did you know rose water was common in American and European baking until the 19th century when vanilla stole the scene? French Pastry Chef Pierre Hermé (widely acclaimed as the “Picasso of Pastry” and the “Couturier of Haute Pâtisserie”) brought rose water back into vogue in Paris when he combined the flavours of rose, raspberry, and lychee into a much sought-after macaron creation he calls Ispahan (after the Damask rose). His book titled Ispahan (to be published in September 2013 by Editions de La Martinière) will be dedicated to interpretations of his famous flavour combination. Rose water has since made its way back into the spotlight on this side of the pond. When I read in the June 2013 issue of Chatelaine magazine that Toronto’s Cava restaurant was using rose water in their Strawberry Rose Water Sorbet, I decided to try the combination of rose water and black cherries in a sherbet. I think it turned out beautifully. As a springboard for my recipe, I started with Ree Drummond’s Cherry Sherbet recipe (olive her blog The Pioneer Woman); but I cut back on the dairy and sugar, eliminated the alcohol, increased the amount of cherries, and added the rose water. And I made it without an ice cream maker, using a simple tray-in-the-freezer-by-hand method instead. The heavy rains have shortened the local cherry season which will probably finish up by this weekend so try to get some local cherries while you still can. I found these beauties (grown in Jordan Station, Ontario) at Longo’s on Monday. I pit cherries the same way I do olives. Make a small slit in the cherry, place the flat side of a chef’s knife over a single cherry and push down carefully with the heel of your hand until the cherry crushes open and the pit is easily removed. It will take a bit of time, but I relax at my kitchen table while pitting my cherries and find it therapeutic. And since you need to make this recipe a day in advance, all the work will be done well ahead of serving it. Serve my Black Cherry Rose Water Sherbet in small portions in tiny, pretty cups. Sprinkle some fresh rose petals or rosebud tea at each place setting for added romance. You need to make this lovely sherbet one day before serving, then freeze overnight until ready to serve. Be careful not to add too much rose water, which can easily overpower a recipe; there is just a subtle hint in my recipe. Place the cherries and sugar in a wide saucepan. Bring to a gentle boil over medium heat, stirring frequently; then reduce to a simmer. Simmer gently, stirring occasionally, until cherries are soft and liquid thickens to syrup, about 7 to 10 minutes. Cool to room temperature. Add the cherries with syrup to a blender or food processor. Blend until smooth. Add cream, rose water, and lemon juice. Blend just until combined. Pour the cherry mixture into a 9-by-13-inch freezer-safe baking dish, cover with plastic wrap, and place the dish in your freezer. After 45 minutes, use a fork and rubber spatula to scrape the frozen edges in toward the centre, breaking up any lumps while stirring. Repeat every 30 minutes for 2 to 3 hours, until frozen. When fully frozen, place the sherbet in an air-tight, freezer-safe container with a tight-fitting lid. Store in the freezer, overnight, until ready to serve the next day. The sherbet is best eaten the day after it is made. Serve in small portions in tiny, pretty cups. Note: Because it is perishable, store your rose water in the refrigerator after opening. www.goldaskitchen.com supplies Nielsen-Massey Rose Water. Hot off the Olive Press! Paramount Fine Foods restaurant is opening up a second Mississauga location at Erin Mills Town Centre (Erin Mills Parkway and Eglinton Avenue), hopefully sometime in the fall of 2013. Paramount Fine Foods serves Middle Eastern cuisine. Our first experience with Paramount Fine Foods was at their 1290 Crestlawn Drive, Mississauga location. My husband had just returned from a family visit to Montreal, which always includes fabulous Middle Eastern food. He wanted to find out if Paramount’s food could compete with Montreal standards. We weren’t disappointed. Compared to the surrounding industrial neighborhood, the elegant interior decor of the Paramount Crestlawn Drive location is a pleasant surprise. The parameter of the room boasts a charcoal grill and bakery counters. Warm woodwork and beautiful chandeliers create an inviting ambiance in the seating area. Even more pleasant than the decor is the service. Though you order at the cash, the food is delivered to the table quickly and our waitress was friendly and knowledgeable about the restaurant. The first thing that strutted to our table, warm and puffed up like proud roosters, was a basket of freshly baked pita bread straight from the wood burning oven. Promise me that at least once in your life you will treat yourself to freshly baked Middle Eastern pita, which is thinner and tastier than other pitas. I had to treat myself to a fresh mango juice because olive mangoes! The fattoush salad is fresh and crisp with romaine lettuce, parsley, red and yellow pepper, tomato slices, and deep fried pita bits in an authentically acidic dressing. We also ordered a bowl of tahina sauce to drizzle on our rice and meat. Olive tahina sauce (try my Grilled Trout with Tahina Sauce and Grilled Lemons). I ordered the BBQ Beef: two skewers of charcoal grilled striploin beef. My husband ordered the Mixed Grill: skewers of shish taouk (marinated chicken breast), kofta (spiced ground beef), and bbq beef. All of the meat is so tender and flavourful that it is mouthwatering just to recollect. Paramount serves charcoal barbequed, sodium-nitrate-free, grass-fed, Ontario Halal meats prepared in the Paramount Butcher Shop. Our plates included a small container of hummus or garlic mayonnaise, picked turnip, and picked celery. The fries are good but the rice is even better – nicely seasoned and fluffy. The Arabic pastries are handmade and baked fresh daily in Paramount’s full bakery. They display them on huge, impressive trays behind the counter. You can enjoy them in the restaurant or take them home. My husband was in heaven. He selected a sampling of a few different kinds to share. Delicate layers of crisp pastry, sticky sweet with crunchy nuts. These little babies, filled with beautiful pistachios nuts, have always been my favourite and they are exquisite. Don’t they look like hungry baby birds? The menu is extensive: appetizers, salads, sandwiches, grilled meats and chicken, shawarmas, falafels, Arabic style pizzas made to order and baked in a wood burning oven, fresh fruit juices, and fine pastries. We both agreed that Paramount Fine Foods restaurant is among the best Middle Eastern food we have tasted outside of Montreal. Reasonable prices, pleasant atmosphere, friendly efficient service, and good food. 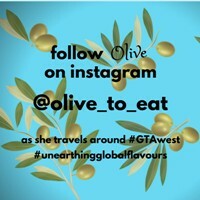 Olive Paramount Fine Foods! Paramount Fine Foods plans to open in the fall of 2013 at Eglinton Avenue West and Erin Mills Parkway, in Mississauga. After pulling out copious quantities of weeds from my garden the other day, my body was crying out for greens. I decided to let my British shine, pull a Mrs. Patmore (TV series Downton Abbey’s quick-witted head cook), and cook up a pot of Chilled Watercress Soup. Watercress doesn’t seem as popular today as it was when I was a child. When I saw a farmer rave about watercress on a recent Jamie Oliver episode, I decided it was high time that I got better acquainted with this healthy green. Here is my version of Chilled Watercress Soup, refreshing and satisfying. It’s a fast and easy recipe. Olive to make up a batch, store it in the fridge, then pull it out for a quick lunch or serve it in small bowls as an elegant starter to a summer dinner. Now, where’s that Daisy to help me with the dishes? Heat the olive oil in a large saucepan over medium heat. Add the potatoes and onions. Season to taste with salt and pepper. Sauté for about 5 minutes or until onions are tender, stirring frequently so that potatoes don’t stick. Stir in the water. Bring to a boil, and then reduce heat to medium. Simmer until potatoes are tender, about 10 minutes. Add the watercress and simmer just until the watercress is wilted but still bright green, only about 1 to 2 minutes. Remove from heat immediately. Stir in the butter. Let cool, then carefully purée in a blender or food processor until smooth. Adjust salt to bring out the flavour, if necessary. Chill in the fridge. Serve cold, straight from the fridge. Garnish with a tablespoon of light ricotta cheese, a crumble of soft chèvre, or a sprinkling of snipped chives.